Retro Report publishes short-form documentaries that provide meaningful context to today’s headlines in a new and exciting way. 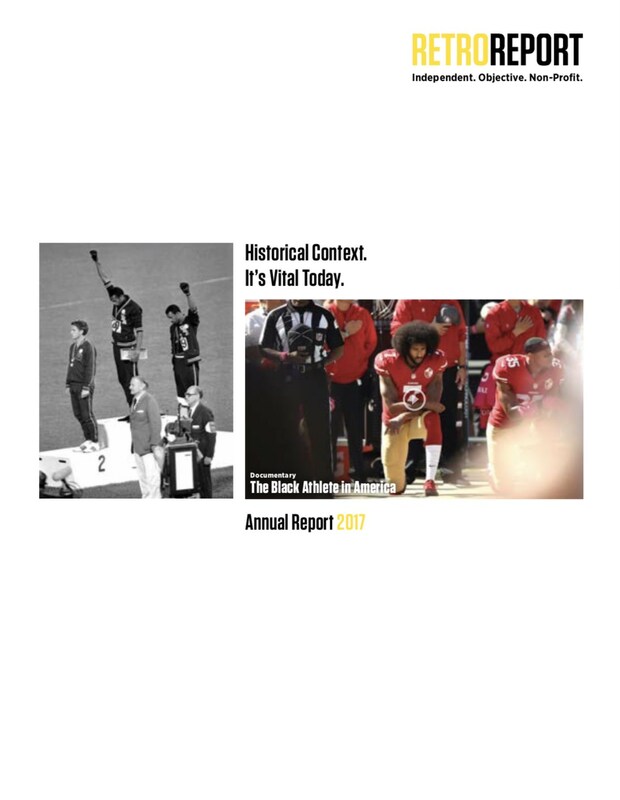 Retro Report publishes short-form documentaries that provide meaningful context to today’s headlines in a new and exciting way. We strive to counter the confusion that has been created by a frenzied media landscape by presenting the deep historical context needed to understand the issues that impact our lives. That perspective better serves the public and is often missing in commercial journalism today. Through fresh, investigative reporting and compelling storytelling, Retro Report offers new insights into events that are all too often reported today but forgotten tomorrow. We operate with the conviction that an engaging and forward-looking review of high-profile events, and the news coverage surrounding them, is critical to understanding the lessons of history and developing robust civic literacy. And, since the stories we report on continue to evolve, we are committed to providing a permanent, living library where each story is tracked and updated so that viewers can gain new insights as events develop and history unfolds. Your tax-deductible donation helps us to tell more stories and keep our living library updated. It is because of you that we can continue providing the context essential to—and often missing from—journalism today. Thank you for your support. Click the image for our annual report, which provides you with a snapshot of our work.